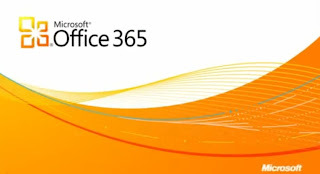 With all of this, Office 365 is designed to offer a plethora of features including document creation, document sharing, e-mail, IM, online meetings and public Web sites. Microsoft has also included protection in the form of its enterprise ForeFront security client and is also promising a 99.9% uptime for the entire service. Once Office 365 officially launches it will be offered as two separate plans depending on the size of your company. Small businesses with around 25 employees or less can pay $6 per person per month to receive Office Web Apps and the hosted versions of Exchange and SharePoint. Larger corporations will have to chose from one of four different plans geared toward faculty, staff and students. In addition to Office 365 being offered as a beta, Office 365 Marketplace is in beta form as well. Office 365 Marketplace is designed to supplement Office 365 and tries to help businesses find apps and services offered by different Microsoft partners. Reports from users already experiencing the beta have noted that everything is working as Microsoft has advertised it to.